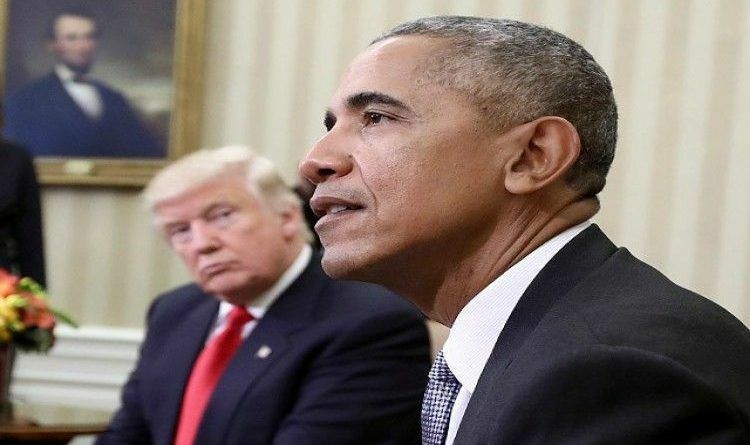 During an interview on “Fox and Friends”, Mark Levin explained why he thinks former President Barack Obama spied on Donald Trump during the presidential campaign, before the election. Levin spent nearly half the interview presenting the evidence for why he believes Obama is guilty, including reading reports directly from mainstream media outlets like the Guardian, the Washington Post, New York Times and McClatchy. According to Levin, the evidence is clear that Trump was indeed tapped by intelligence facilitated and by the request of the White House. “The issue isn’t whether the Obama administration spied on the Trump campaign or the transition or certain surrogates, the issue is the extent of it,” Levin explained. “The evidence is overwhelming,” he went on to say. They were so aggressive, they waited four or five months, they go back in October, weeks before the general election, they narrow their request, all of the sudden we have leaks coming out on [Michael] Flynn. Then we have an “Oh horrible” meeting that took place between [Attorney General Jeff] Sessions and so forth. And I’m telling you as a former chief of staff to a United States attorney general in the [Ronald] Regan administration, these are police state tactics. Now what did Barack Obama know? He knew everything I just read you apart from one or two articles. You wanna know how I know? It’s in the newspapers! It’s right there! So Barack Obama not only knew this, but he gets a daily intelligence briefing. Later in the interview, Levin emphasized that he just pieced together what the mainstream media laid out against Obama — it isn’t of his doing. Levine went on to defend Trump. Levin buttoned up his allegations by suggesting that the two FISA court warrant requests from the Obama administration and the daily presidential intelligence briefings from the past year should be released to Congress. “There ought to be public hearings on this stuff, too,” Levin told the “Fox and Friends” hosts.